Here are the new shorts of "We are Luck & Logic Club"
It promotes the TCG alongside the main anime of Luck & Logic. Since the past month the youtube channel of Luck & Logic has uploaded , besides promos for the newest expansions, new shorts of the anime of “We are Luck & Logic Club” which in a way served as a complementary series to the main anime. Well now since August the season 2 has been uploaded with 2 chapters already, a new member of the Luck & Logic club has joined (whose name is unknown for me, so any help is apreciated). In any case, enjoy. Luck & Logic Anime premeired the past Winter season, and I covered it. You can check it here. 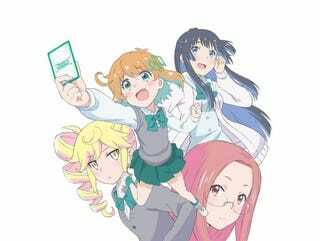 The main anime will get a new season (or at the very least that was the plan some months ago).